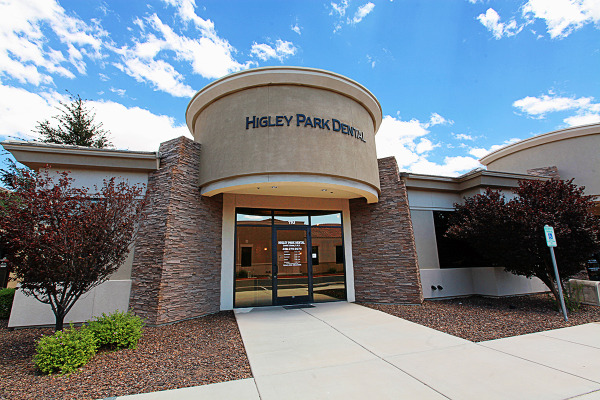 Your dental care is our focus at Higley Park Dental Care. At one point in life, you will need to see a dentist for your routine examination and cleaning, or even an area of concern. Maybe you're having a hard time finding the right one to fit your needs? Maybe in addition to finding the right dentist; a supportive, kind staff is also important to you? Your search is over! Here at Higley Park Dental Care Dr. Eckman, Dr.Bailey and their fabulous team of professionals provide quality dentistry with integrity. In addition, our team is excited to get to know each individual patient while fulfilling their commitment to provide a positive experience every time we interact. Quality dentistry can be affordable. Our office accepts several options for payment. All patient questions about dental insurance and how it helps to make treatment affordable can be answered by our trained specialist. Anxiety or fear no longer needs to be the reason to put off your dental appointment. Sedation Dentistry options are available. Lonnie Eckman, DMD,and Jennifer Bailey DDS, along with their compassionate team, understands how unnerving it can be for some patients to visit a dental office. Our office is a privately owned practice that continuously strives to welcome you as a treasured member of our dental family. We want to exceed your expectations as a privately owned practice, treat you like we would treat our own family, to know you by name, and make each moment we spend together a fun and productive experience. It is our pleasure to dedicate our team completely to your care and service. This important commitment includes providing information that helps you to make more informed decisions about your oral and systemic health needs. Gilbert Dentist, Dr. Lonnie Eckman and Dr. Jennifer Bailey is dedicated to cosmetic dentistry such as Exams, Teeth Whitening, Veneers and more. We are looking forward to your visit to our Gilbert, Arizona dental office.